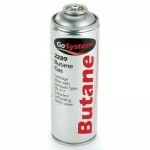 Empty aerosol cans can be recycled. Simply remove the plastic lid section and place in the yellow lidded bin. 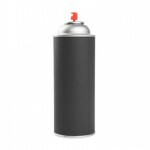 As they can potentially cause a safety risk aerosol cans must be completely empty before they can be placed in the recycling bin. Empty Aluminium Cans are recyclable and can be placed directly into your yellow lidded recycling bin. Aluminium can be recycled infinitely without any loss of quality. More importantly recycling aluminium saves 95% of the energy it would take to make a can from scratch using bauxite. 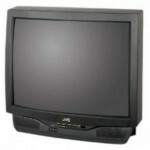 In fact every single can recycled saves enough electricity to power a TV for about 3 hours! So ensure that you always place aluminium cans into the recycling bin and remember if you are out and about and there are no public recycling bins, collect your cans and take them home to recycle. Clean aluminium foil is recyclable and can be placed directly into your yellow lidded recycling bin. 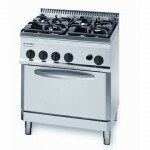 Aluminium products can be recycled infinitely without any loss of quality. More importantly recycling aluminium products saves 95% of the energy it would take to make the same product from scratch using bauxite. 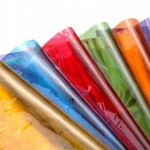 Aluminium Foil is also a great alternative to plastic wraps for use in the kitchen. 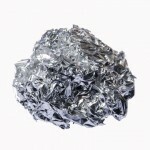 Aluminium foil is a recyclable product, unfortunately if it is contaminated by large amounts of food waste then it cannot go through the recycling plant. If aluminium foil is contaminated simply place it in your red lidded general waste bin. 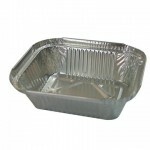 Clean aluminium foil trays are recyclable and can be placed directly into your yellow lidded recycling bin. 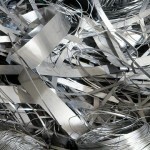 Aluminium products can be recycled infinitely without any loss of quality. More importantly recycling aluminium products saves 95% of the energy it would take to make the same product from scratch using bauxite. 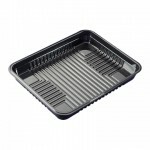 Aluminium foil trays are a recyclable product, unfortunately if they are contaminated by large amounts of food waste then they cannot go through the recycling plant. 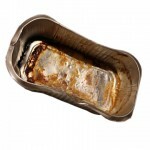 If aluminium foil trays are contaminated simply place them in your red lidded general waste bin. All animal droppings should be placed in the red lidded general waste bin. Asbestos is a hazardous waste and must be disposed of correctly at a licensed site. Asbestos fibres are hazardous when inhaled and can be released into the air when asbestos products are incorrectly handled, stored or transported for disposal. It is important to ensure that asbestos waste has been wetted and sealed in heavy-duty plastic prior to transportation. 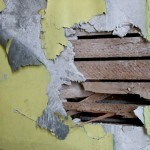 Asbestos materials are described as either ‘bonded’ or ‘friable’. Both types of material can be disposed of at specialised sites in the Midcoast area, however there are different requirements for these products. Bonded asbestos material means any material (other than friable asbestos material) that contains asbestos. 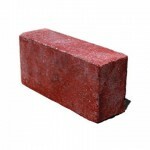 Bonded asbestos cannot be crumbled, pulverised or reduced to a powder by hand pressure when dry. 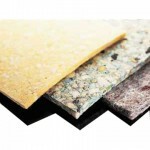 Common uses for bonded asbestos in buildings include flat (fibro) corrugated or compressed asbestos cement sheets, water, drainage / flue pipes and floor tiles. If fire, hail or water blasting damages bonded asbestos, it may become friable asbestos material. 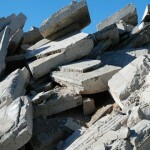 Friable asbestos material is any material that contains asbestos and is in the form of a powder or can be crumbled, pulverised or reduced to powder by hand pressure when dry. 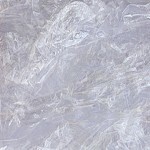 Friable asbestos was not commonly used in the home, it was mainly used in industrial applications. Friable asbestos should only be removed by a specialised asbestos removal contractor with a friable asbestos licence. Licenced contractors can be found in the Yellow Pages under Asbestos Removal and/or Treatment. Residents within the Midcoast Region can dispose of asbestos at one of the below sites, however they must ensure that they follow all guidelines listed below. It is also important to always contact the landfill beforehand to see if there are any additional requirements for delivering asbestos. Midcoast residents can deliver asbestos materials to Gloucester, Bucketts Way or Stroud Landfill facilities. Residents must complete an Application to Dispose of Asbestos Form and the landfill must be notified a minimum of 48 hours prior to disposal. Residents must also ensure that they follow all disposal procedures as outlined on the application form. Gloucester Landfill is located at 385 Thunderbolts Way and can be contacted by calling 0467 581 420. Bucketts Way Landfill is located on the Bucketts Way between Taree South and Tinonee and can be contacted on (02) 6551 5266. Stroud Landfill and Recycling Centre is located on Simmsville Road, Stroud and can be contacted on (02) 4994 5699. For more information on these facilities including opening hours visit our facilities page. Batteries are a hazardous waste and need to be disposed of correctly, it is best that they not be placed in household bins if it can be avoided. There are a wide range of battery types all of which contain dangerous chemicals including cadmium, mercury, lead, magnesium and zinc. 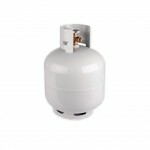 If sent to landfill these materials can leak and contaminate soil and groundwater. 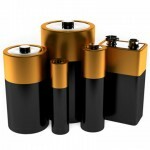 Batteries need to be dropped off at your local transfer station or a battery collection point. Information on drop of points in your local area are below. Planet Ark and Aldi supermarkets have also recently joined together to start a household battery recycling program. Residents can drop off household batteries at any Australian ALDI store free of charge. For more information on the program visit their website. Residents in Gloucester Shire can dispose of batteries at the Gloucester Landfill located at 385 Thunderbolts Way. For more information on the landfill including opening hours visit our facilities page. To find which is closest to you visit our facilities page. For more information on the landfill including opening hours visit our facilities page. For more information on library opening hours visit the Greater Taree City Council website. 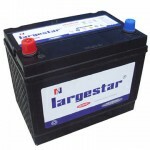 Used car batteries, as well as other used lead-acid batteries are hazardous waste and should be disposed of appropriately. Residents in Gloucester Shire can dispose of vehicle batteries at the Gloucester Landfill located at 385 Thunderbolts Way. For more information on the landfill including opening hours visit our facilities page. Residents in Greater Taree can dispose of household batteries at the Bucketts Way Landfill. For more information on the landfill including opening hours visit our facilities page. Empty all glass bottles and jars of food waste. To help conserve water ensure you wash bottles and jars in used washing up water. 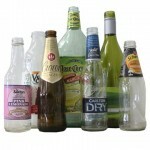 You do not need to remove labels from bottles or jars. 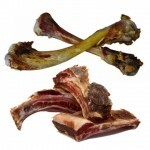 Bones and other food waste should be placed directly into your red general waste bin. Books can be placed in your yellow lidded recycling bin. 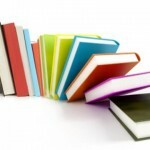 If books are in good condition they can also be donated to local charities and service organisations. Plastic bottle tops are too small for the machinery to sort at the MRF and end up as part of the glass fines. It is best to put them in the red bin to avoid contamination. 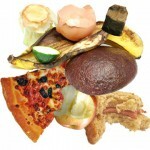 Anything smaller than the palm of your hand is best added to the red bin - or contained in a similar product. Unfortunately we can't do this with plastic lids, because they are a different type of plastic. 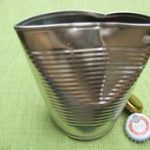 Metal bottle tops (from beer, wine and soda bottles) can be recycled by putting them inside a soup can (or similar) and squishing the lid closed. Empty all glass bottles and jars of food waste. To help conserve water ensure you wash bottles and jars in used dishwater. 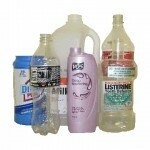 Rigid plastic bottles can be placed directly into the yellow lidded recycling bin. The majority of bottle lids are made from a different plastic type than the bottles themselves. This can cause difficulties while recycling. 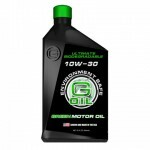 To ensure that bottles are empty of all materials that could potential cause automated systems to misidentify the bottle or contaminate other recyclable items. Plastic lids are too small to recover with current technologies. 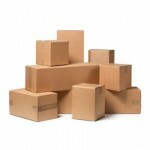 Cardboard boxes can be placed directly into the yellow lidded recycling bin. It is best to ensure that they are collapsed down so that they do not take up excessive room and cannot be caught in machinery at the recycling facility. 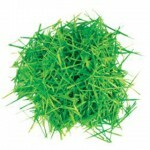 Small branches (up to 15cm in diameter) can be placed into your green lidded garden organics bin. 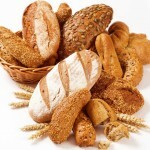 Bread and other food waste should be placed directly into your red general waste bin. 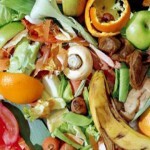 Food Waste can also be composted at home using a compost bin or worm farm. For more information on any of these drop off points visit our facilities page. You can also find more information on certain materials or look for other drop off points, simply visit http://businessrecycling.com.au/. Bubble wrap should be placed directly into your red lidded waste bin. Placing soft plastics such as plastic bags and wrap into the recycling bin can cause issues in the Materials Recovery Facility as they wrap around machinery and cause blockages. For more information on any of these drop off points visit our facilities page. 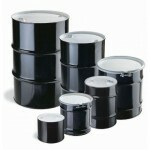 For more information on certain materials or to look for other drop off points visit http://businessrecycling.com.au/. 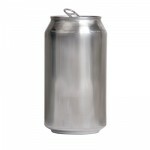 Empty Aluminium and Steel cans are recyclable and can be placed directly into your yellow lidded recycling bin. 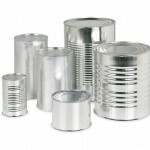 Aluminium can be recycled infinitely without any loss of quality. More importantly recycling aluminium saves 95% of the energy it would take to make a can from scratch while recycling steel cans save 75% of the energy. So ensure that you always place aluminium and steel cans into the recycling bin and remember if you are out and about and there are no public recycling bins, collect your cans and take them home to recycle. For more information on any of the drop off points visit our facilities page. 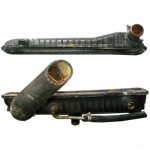 Many scrap metal merchants and mechanics will also take car parts. 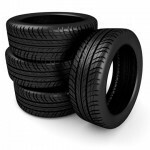 For more information on other locations where car parts can be disposed of visit http://businessrecycling.com.au/. Cardboard can be placed directly into the yellow lidded recycling bin. It is best to ensure that it is collapsed down so that it does not take up excessive room and cannot be caught in machinery at the recycling facility. 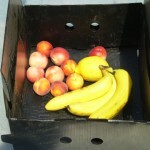 Waxed cardboard boxes are often used for transporting fresh produce. 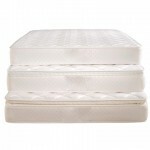 Because of the wax coating they are unsuitable for recycling through the yellow bin system. Waxed cardboard should be placed in the red general waste bin. Alternatively if you have a compost bin at home it can also be composted. Gift cards made of paper or cardboard materials can be disposed of in the yellow lidded recycle bin. Printer cartridges should not be placed into any of your domestic (kerbside) bins. 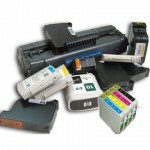 Printer cartridges contain a variety of chemicals which can cause contamination if sent to landfill. 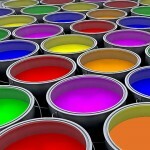 They also contain valuable materials such as metals, plastics and inks that can be recovered for reuse. Household quantities of cartridges can be retuned as part of the 'Cartridges 4 Planet Ark' program. To find your closest drop of point visit http://cartridges.planetark.org/. Cassette and VHS tapes should be disposed of in your red general waste bin. 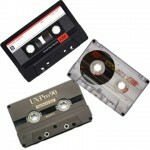 While these types of tapes contain a plastic casing, placing them in the recycling bin can cause issues at the Materials Recovery Facility as the tape inside can become wrapped around machinery. Cellophane should be placed directly into your red lidded waste bin. Soft plastics such as cellophane can often have a plastic identification code on them which closely resembles the recycling symbol; however they cannot be recycled through the yellow lidded bin in this area regardless of the symbol. This is because recycling soft plastics require specialised equipment that is not available in this region. Placing soft plastics such as plastic bags and wrap into the recycling bin can also cause issues in the Materials Recovery Facility as they wrap around machinery and cause blockages. Ceramic products are not recyclable and need to be placed into your red lidded general waste bin. Alternatively if ceramic products are not broken they can be donated to local charities. 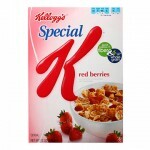 The plastic lining inside cereal boxes should be placed directly into your red lidded general waste bin. Placing soft plastics such as plastic bags and wrap into the recycling bin can also cause issues in the Materials Recovery Facility as they wrap around machinery and cause blockages. 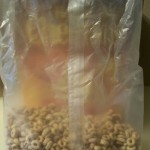 Cardboard cereal boxes can be placed directly into the yellow lidded recycling bin. It is best to ensure that they are collapsed down so that they do not take up excessive room and cannot be caught in machinery at the recycling facility. 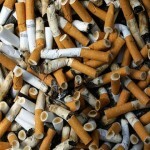 Cigarette butts contain hazardous chemicals such as cadmium, arsenic and lead so they need to be disposed of correctly. Cigarette butts should be placed in the red general waste bin. Butts should never be littered as they can cause damage to the local environment. Cling Wrap should be placed directly into your red lidded general waste bin. Placing soft plastics such as plastic bags and wrap into the recycling bin can also cause issues in the Materials Recovery Facility as they wrap around machinery and cause blockages. Damaged clothing and shoes can be disposed of in the red general waste bin. Clothing and shoes which are still in wearable condition can be donated to local charities. 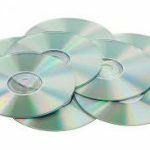 CD's should be disposed of in your red general waste bin. 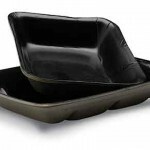 While these types of products contain a plastic casing, placing them in the recycling bin can cause issues at the Materials Recovery Facility as the metallic material can contaminate plastics when further processed. Items in usable condition can be donated to the tip shop or op shop for resale. Alternatively they can be used for craft purposes. 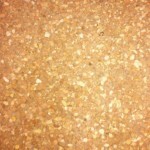 Cork is a natural and biodegradable material made from the bark of Cork Oak Trees. 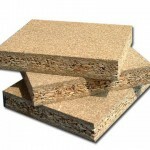 It can be recycled into a range of products such as cork boards, coasters, and flooring. 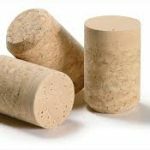 However, there is no way to recycle cork within Australia. Corks can be composted (but only if they're a natural and not a synthetic cork) or turned into garden mulch. For both of these options make sure you shred the cork first to make it easier to break down. Corks can also be reused for craft or DIY purposes. Otherwise, they need to be placed in the Red bin. All crockery products should be placed in the red lidded general waste bin. Crockery products are not recyclable. 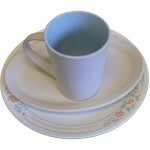 However unbroken crockery products can be donated to local charities or taken to the tip shop for resale. Metal cutlery products should be placed in the red lidded general waste bin. Metal cutlery products are not recyclable as they have the possibility of causing damage to the recycling equipment at the Materials Recovery Facility. 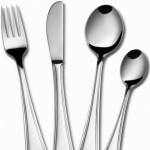 However undamaged cutlery products can be donated to local charities or taken to the tip shop for resale. Plastic cutlery products should be placed in the red lidded general waste bin. 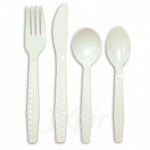 Plastic cutlery is not recyclable as they are oddly shaped and often too small to recover with current technologies. 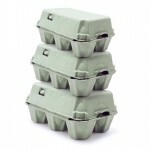 Egg cartons, like other cardboard products can be placed directly into the yellow lidded recycling bin. 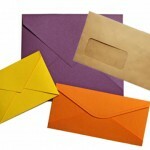 Envelopes can be placed directly into the yellow lidded recycling bin. 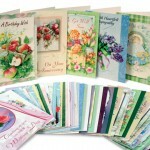 This includes envelopes with the clear window on the front. First, open nearby windows and doors to allow the room to ventilate for 15 minutes before cleaning up the broken light bulb. 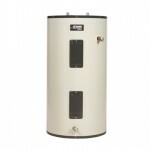 Turn off air conditioning or heating equipment which could recirculate mercury vapours back into the room. Use disposable rubber gloves rather than bare hands. Do not use a vacuum cleaner or broom on hard surfaces because this can spread the contents of the light bulb and contaminate the cleaner. Instead, scoop up broken material (e.g. using stiff paper or cardboard) if possible into a glass container which can be sealed with a metal lid. Use a disposable brush to carefully sweep up the pieces. 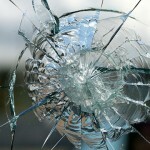 Wipe up any remaining glass fragments or powders using sticky tape, a damp cloth or damp paper. 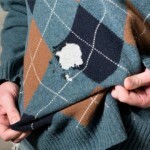 On carpets or fabrics, carefully remove as much glass or powdered material as possible using a scoop and sticky tape. If vacuuming is needed to remove residual material you will need to discard the vacuum bag or thoroughly wipe clean the vacuum cleaner canister afterwards. Finally, dispose of any clean-up equipment such as gloves, brush, damp paper and sealed containers containing pieces of broken light bulb in your outside rubbish bin—never in your recycling bin. While not all of the recommended clean-up and disposal equipment described above may be available (particularly a suitably sealed glass container) it is important to remember to remove broken CFL and clean-up materials to an outside rubbish bin (preferably sealed) as soon as possible. 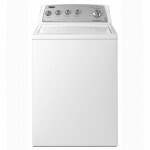 This will reduce the potential contamination indoors. 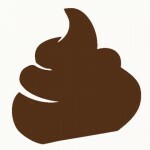 Some polystyrene materials such as foam cups, trays or foam packaging are marked with the below symbol. This symbol is part of the Plastic Identification Code and simply identifies the type of plastic the product is - not if it can be recycled. People often confuse the 'plastic identification code' for the general recycling symbol (mobius loop), which involves three chasing arrows. Great Lakes Council has recently acquired an EPS recycling machine that is designed for recycling commercial quantities of polystyrene products at the Residents in the Great Lakes Area who have larger amounts of polystyrene can drop them off for free at the Tuncurry Waste Management Centre. 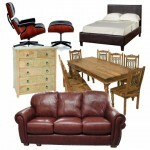 Furniture can be donated to local charities or taken to the local tip shop for resale. 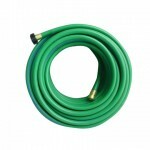 Garden hoses should be placed in the red lidded general waste bin. Garden hoses are not recyclable and should never be placed in your yellow lidded recycling bin. 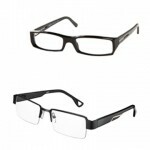 They can become wrapped around the machinery and cause issues at the Materials Recovery Facility. Garden waste such as leaves, flowers, offcuts, grass clippings and small braches can be placed directly in the green lidded garden organics bin. Glad wrap and other soft plastics such as sandwich bags should be placed directly into your red lidded waste bin. Placing soft plastics such as plastic bags and wrap into the recycling bin can also cause issues in the Materials Recovery Facility as they wrap around machinery and cause blockages. Glass such as drinking glasses, window panes, pyrex, plate glass etc should be placed into the red lidded general waste bin or taken to the landfill transfer station. 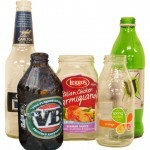 These forms of glass are hardened and contain different materials than glass bottles and jars so cannot be placed in the yellow lidded recycling bin. 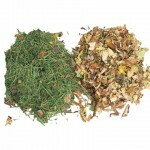 Garden waste such as grass clippings should be placed directly in the green lidded garden organics bin. For more information on any of the drop off points visit our facilities page. Special household chemical collection days are also held annually. The 2014 dates have not yet been set but for more information contact your local Council. 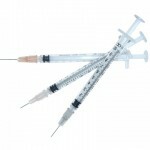 Hypodermic needles are considered a hazardous waste and can be extremely dangerous if placed in any domestic bins. If you have a medical condition that requires their use ensure that you dispose of them correctly. Talk to your local pharmacy or visit www.safesharps.org.au to find a disposal site near you. 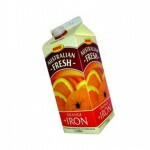 Juice cartons can be placed directly into the yellow lidded recycling bin. 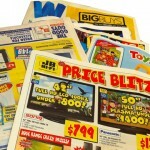 Junk mail can be placed directly into the yellow lidded recycling bin. 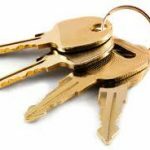 Most keys can be taken to your local Community Recycling Center or Waste Management Facility. 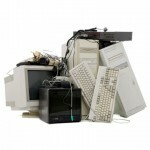 Plain metal keys can be recycled with scrap metal, whereas Electronic keys are considered e-waste. Alternatively, Repurpose your old keys into something new. 1.Quick & easy zipper pull 2.Keep an old key near the door to clean the tread of your boots. 3.Use a weights- Sew or glue them into drapes, outside patio tablecloths, shower curtains 4.Make a Wind Chime- all you need is a base, fishing line and tie those keys on. 5.Use As box openers- safer than knives 6.Make a screwdriver- file down the end and you can carry it with you 7.Use the hole as a nail direct when hammering. Millions of keys are thrown away each year. Taking the extra step to recycle, reuse, or donate your old keys helps to reduce waste and keep these cool materials in use. Kitty Litter should be disposed of directly into the red lidded general waste bin. 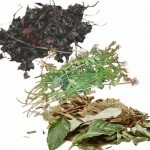 Garden waste such as leaves can be placed directly in the green lidded garden organics bin. 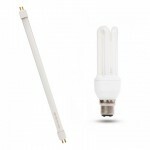 Compact fluorescent tubes and globes (CFLs) contain mercury and should be disposed of correctly. Globes cannot be recycled through the yellow bin system, however by dropping them of at the following collection points they can be recycled through other methods: *please note this does not apply to flood lights - they can be safely disposed of in the RED bin. Nappies and other sanitary items should be placed directly into your red lidded waste bin. 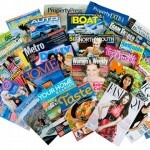 Newspaper is recyclable and can be placed directly into your yellow lidded recycling bin. 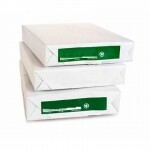 Office Paper is recyclable and can be placed directly into your yellow lidded recycling bin. For more information on any of the drop off points visit our facilities page. 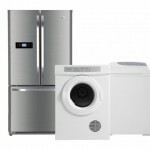 Most whitegoods can also be placed out during bulky waste collections in Greater Taree and Great Lakes. For information on the next bulky waste collection visit our cleanups page. 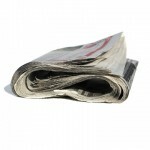 Paper is recyclable and can be placed directly into your yellow lidded recycling bin. 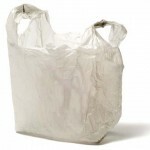 Put shredded paper in a large paper bag, old envelope or cardboard box and then place in the recycling bin. This will ensure it is contained and will not clog the recycling machinery. 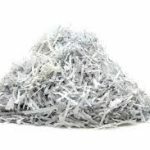 Here are 7 ways to reuse shredded paper 1.Composting is a great way to get rid of shredded paper; especially for confidential information such as bank statements. It’s the perfect way to avoid identity theft! 2.If you don’t have a compost bin, you can put a small amount of shredded paper into a worm farm. 3.Shredded paper makes a great fire starter, unlike sheets of flat paper – offer it to a friend with a woodburner to make paper logs from. 4.Some shredded paper can be used for pet bedding, underneath the straw. Beware of toxic inks though. (discard in RED bin) 5.You can use shredded paper in a cat litter box. (discard in RED bin) 6.Use shredded paper as packing material when sending gifts. 7. If you fancy a messy, but fun project, try using it to make your own paper! 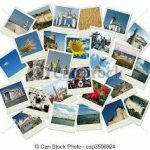 Due to chemical coatings used in the photo developing process, most older photographs cannot be processed for recycling Please dispose of in the red lid bin. 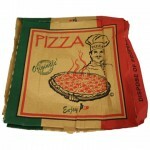 Pizza boxes are made of cardboard and can be recycled in the yellow lidded bin. In the past pizza boxes in the recycling was discouraged, however advancements in technology mean that this has changed and you can recycle pizza boxes even if they contain an oily residue. Simply ensure that you eat all the pizza and do not leave any scraps in the box. Plant cuttings (less than 15cms in diameter) can be placed into your green lidded garden organics bin. Currently Australian’s use more than 10 million single use plastic bags per day. Plastic bags are not recyclable through the yellow bin system. In fact placing soft plastics such as plastic bags and wrap into the recycling bin can also cause issues in the Materials Recovery Facility as they wrap around machinery and cause blockages. However they can be taken back to the supermarket and placed in the special plastic bag bin usually located at the front of the store. If you need to get rid of plastic bags at home you can also place them in your red lidded bin. If possible it is best to reduce plastic bag use by ensuring that you always take reusable bags with you to the supermarket. All broken or damaged plastic containers, bowls & lids should be placed in the red lidded general waste bin. 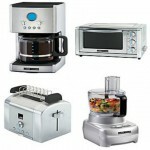 These products are not recyclable. 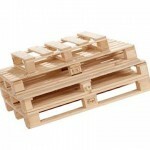 However containers of good quality can be donated to local charities or taken to the tip shop for resale. 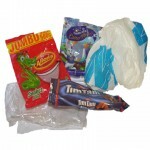 Soft plastic wrappers should be placed directly into your red lidded waste bin. Soft plastics such as plastic bags and wrappers, can often have a plastic identification code on them that closely resembles the recycling symbol; however they cannot be recycled through the yellow lidded bin in this area regardless of the symbol. Placing soft plastics such as plastic bags and wrap into the recycling bin can also cause issues in the Materials Recovery Facility as they wrap around machinery and cause blockages. 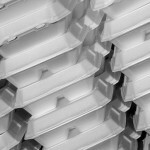 Expanded polystyrene products cannot be recycled through the kerbside system. Some polystyrene materials such as foam cups, trays or foam packaging are marked with the below symbol. This symbol is part of the Plastic Identification Code and simply identifies the type of plastic the product is - not if it can be recycled. People often confuse the 'plastic identification code' for the general recycling symbol (mobius loop), which involves three chasing arrows. 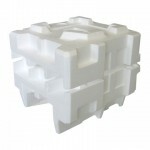 Place polystyrene into the red lidded general waste bin. Alternatively large amounts can be taken to the Tuncurry Waste Management Centre where they will be recovered using a specialised EPS machine. 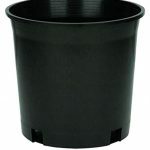 Black Plastic Pots are made from number 5 polypropolene and aren't excepted in the yellow recycling bins. Some local nurseries may accept back for recycling or reuse. You can also reuse at home for seedlings or cuttings or you could offer on Gumtree or Facebook. 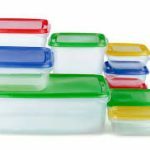 Pyrex containers and cookware are a specialised harden glass that contains different elements then the glass found in bottles and jars. 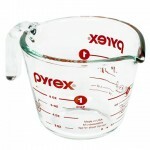 Because of this Pyrex products cannot be recycled and should be placed in the red lidded general waste bin. 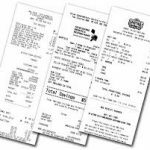 Shopping dockets and cash receipts are processed on thermal paper and contain BPA - an endocrine disrupter linked to fertility issues, impotence, heart disease and some cancers. BPA found in receipts and other thermal paper is in a free chemical form and has the potential to be more readily released and absorbed. 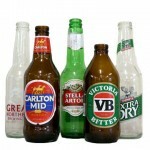 Alcohol based body lotions and hand sanitiser were found to increase absorption of BPA. There is a potential for BPA found in receipts to make its way into other recycled paper products if included in the yellow bin. 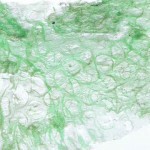 Studies also found BPA in compost tea when composted. It is safest for receipts to be put in the Red Bin. Rope products should be placed into your red lidded waste bin. Ropes should never be used to wrap recyclables or greenwaste. 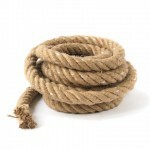 Ropes that are still in good condition can be taken to the Community Recycling Centre for reuse. For more information on any of the drop off points visit our facilities page. 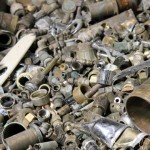 Scrap metal can also be placed out during bulky waste collections in Greater Taree and Great Lakes. For information on the next bulky waste collection visit our cleanups page. For more information on any of the drop off points visit our facilities page. Scrap steel can also be placed out during bulky waste collections in Greater Taree and Great Lakes. 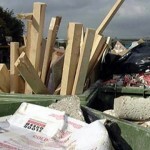 For information on the next bulky waste collection visit our cleanups page. 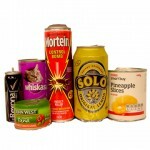 Empty steel cans are recyclable and can be placed directly into your yellow lidded recycling bin. More importantly recycling steel saves 75% of the energy it would take to make a can from scratch. So ensure that you always place steel cans into the recycling bin and remember if you are out and about and there are no public recycling bins, collect your cans and take them home to recycle. Syringes are considered a hazardous waste and can be extremely dangerous if placed in any domestic bins. 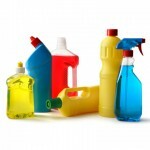 If you have a medical condition that requires their use ensure that you dispose of them correctly. Talk to your local pharmacy or visit www.safesharps.org.au to find a disposal site near you. Whilst Insulin Pens and Epi-Pens are recyclable and accepted in the YELLOW bin - the needle needs to be removed before placing in the YELLOW bin. 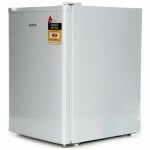 The sharp should be disposed of in a approved disposal bin at your local pharmacy or collection point. Some polystyrene materials such as foam cups, trays or foam packaging are marked with the below symbol. This symbol is part of the Plastic Identification Code and simply identifies the type of plastic the product is - not if it can be recycled. People often confuse the 'plastic identification code' for the general recycling symbol (mobius loop), which involves three chasing arrows. 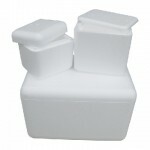 Place polystyrene take away containers into the red lidded general waste bin. 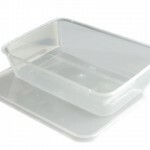 Rigid plastic take away containers are recyclable and can be placed in the yellow lidded bin. For health and safety reasons and to ensure recycling isn’t contaminated the containers need to be as clean as possible. 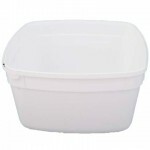 To prevent wasting water it is best to wash up containers in old washing up water after finishing the dishes. 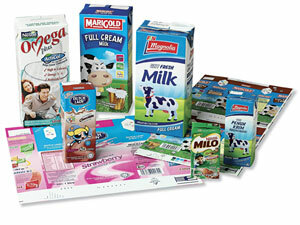 Tetra Pak Cartons are not recyclable due to the many different materials that make up the layers. 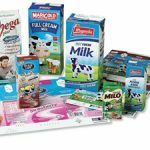 Tetra Pak cartons need to go into the red lidded bin. 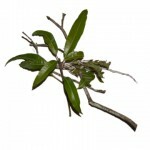 Tree prunings up to 15cm in diameter can be placed in the green lidded organics bin. Cassette and VHS tapes should be disposed of in your red general waste bin. 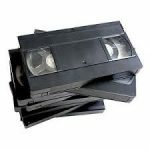 While these types of tapes contain a plastic casing, placing them in the recycling bin can cause issues at the Materials Recovery Facility as the tape inside can become wrapped around machinery. Items in usable condition can be donated to the tip shop or op shop for resale. X-ray films contain silver in the form of halides, which can be extracted and converted into pure silver and should be disposed of correctly. 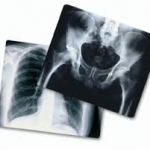 X-Rays cannot be recycled through the yellow bin system, however by dropping them at your local Waste Management Facility and Community Recycling Center. For more information on any of the drop off points visit our facilities page.